As a kid, you were probably excited to lose a tooth. As an adult—not so much. In adulthood, a missing tooth can lead to a variety of problems. And unfortunately, dental problems don’t get better with time, they get worse. Tooth decay, periodontal disease or an uncomfortable bite due to shifting teeth might develop as result of just one missing tooth. Consequently, tooth replacement is imperative. Dr. Vong will be glad to speak to you about single tooth placement in Richmond. Read on to learn more about tooth replacement and the benefits of dental implants. To replace a single missing tooth, you can choose between a dental implant and a fixed bridge. 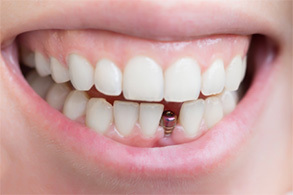 The really nice thing about a dental implant in Richmond is that it replaces both the root and crown of a missing tooth. An implant is a small post made of the biocompatible metal, titanium. The implant is surgically embedded in your jawbone beneath the gap in your smile. It is primarily placed there to hold a crown restoration. In addition, the post also helps keep your jawbone healthy and strong by stimulating new bone tissue growth and attracting nutrients and circulation to the site. To implant the post, a small incision is made in gum tissue. Then, a small section of jawbone is removed and the post is set in place. Your gums will heal fairly quickly, but the post and surrounding bone tissue will take several months to fuse together. After this happens, the dental crown can be attached to the post and the replacement tooth will look and feel just like one of your natural teeth. 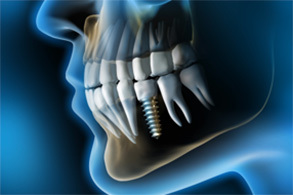 Instead of an implant, you could choose to replace a missing tooth with a fixed bridge, also called a crown and bridge. A bridge is a single false tooth that fills in the gap in your smile. This portion is attached to crowns that are mounted on top of healthy teeth next to the gap. The false tooth and crowns are fabricated in a single unit that is placed at one time. In addition to rebuilding your smile, a bridge restores dental function and prevents adjacent teeth from shifting into the vacant space. 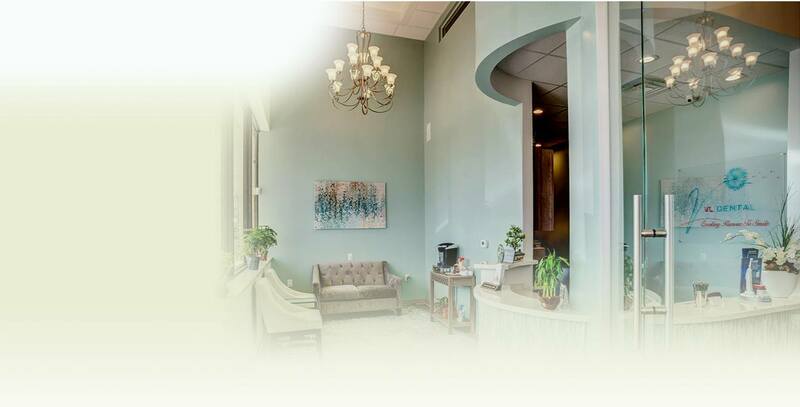 If you need to have a single tooth replaced, call Dr. Vong today. A dental implant will rejuvenate your smile and provide other oral health benefits, too.